I have instantly become obsessed with the only two tracks that American (?) 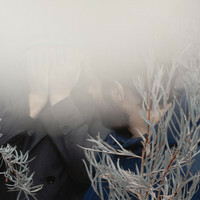 duo Lovelier Other have available – their first track, Leave This Behind and their most recent Hidden Shelters. Wilfully obscure MW and LV give little away, their FB yields little and their web site even less, the video for the latest track suitably teasing. But Soundcloud has both tracks for streaming (and downloading of their first track). No matter if this is some trendy attempt to be opaque and interesting, the two tracks are just sublime. The references to Beach House are inevitable, but there is a real beauty to these skilfully wrought songs, lush with production and ethereal treatment, but rich too with hooks that draw you in. Gorgeous sweeping soundscapes, both aching and joyful. This entry was posted in Uncategorized and tagged Lovelier Other, video. Bookmark the permalink.